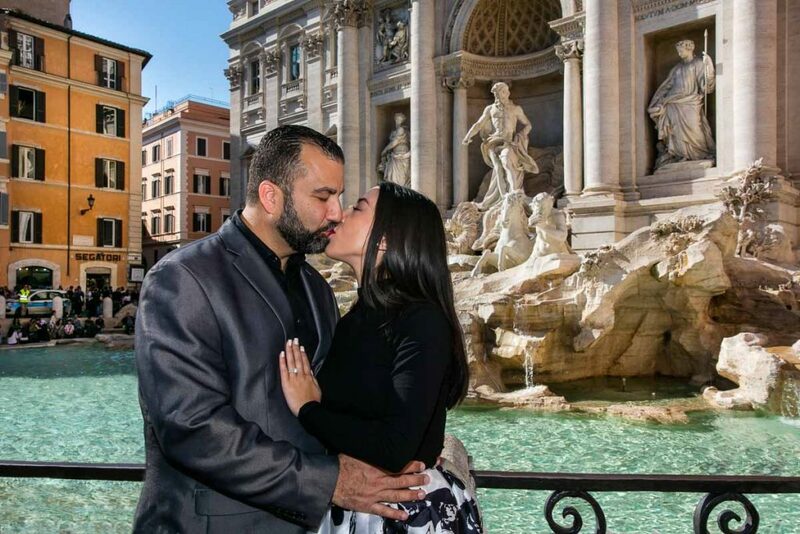 Celebrating a romantic and intimate wedding marriage elopement in the eternal city of Rome! 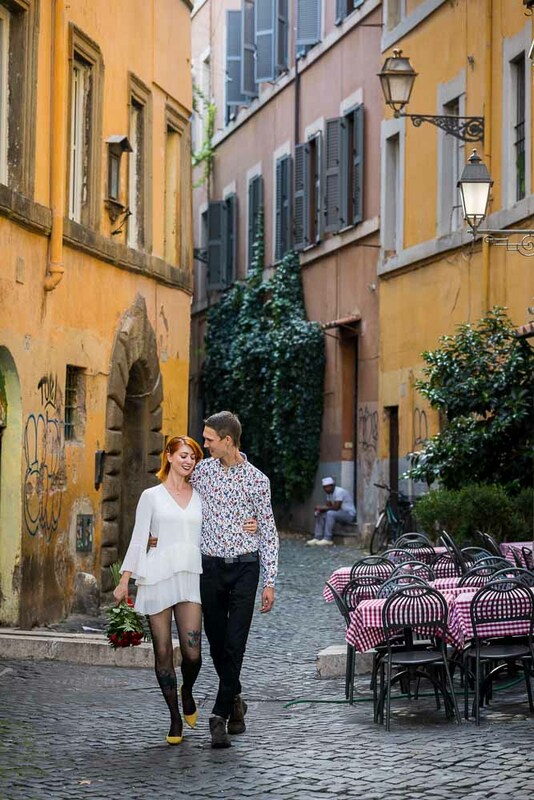 Starting with a nice and scenic photo walk around the Trastevere quarter. Regarded as the heart of the roman atmosphere! Shooting among characteristic cobble stone streets. 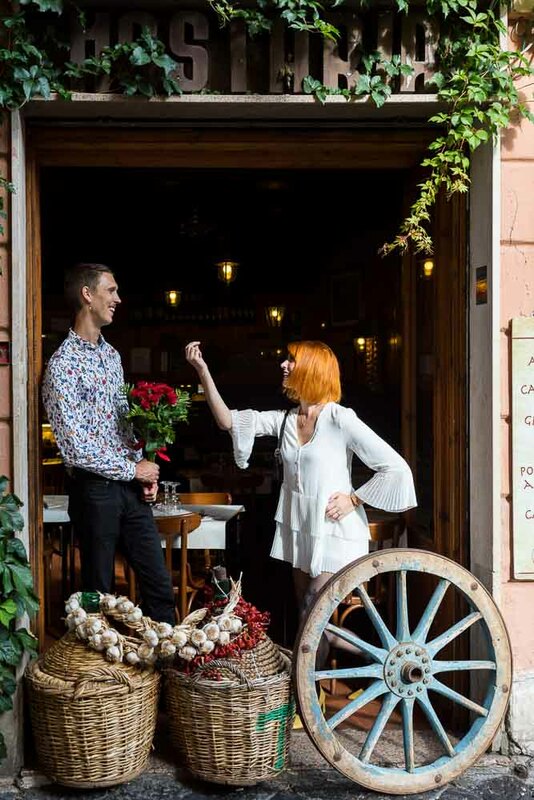 Stopping by traditional osteria restaurants to snap some cool couple pictures. Including vespa scooters as props as well as vintage cars parked along side the road. Slowly making our way to Piazza Trilussa and the Tiber river. Taking some nice portraits overlooking the river water from above. Then on a taxi ride headed to Villa Borghese. 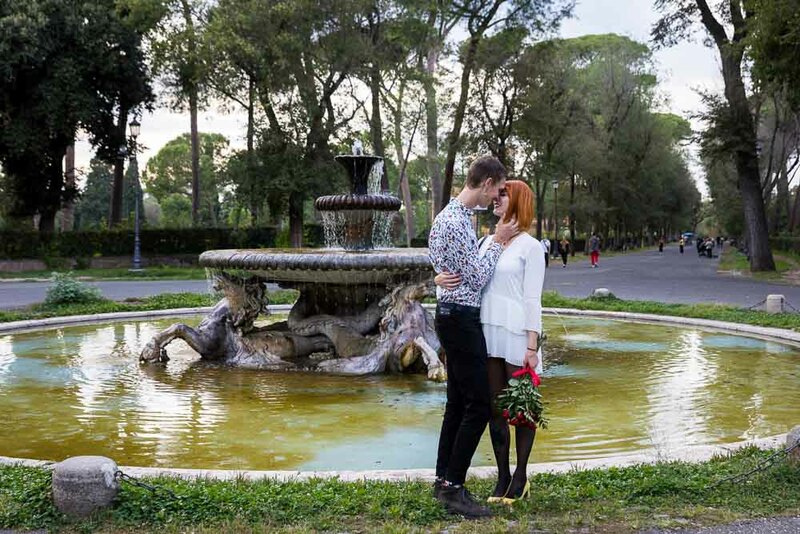 Continuing our couple photo session in Galleria Villa Borghese. Shooting in the scenic rear gardens. 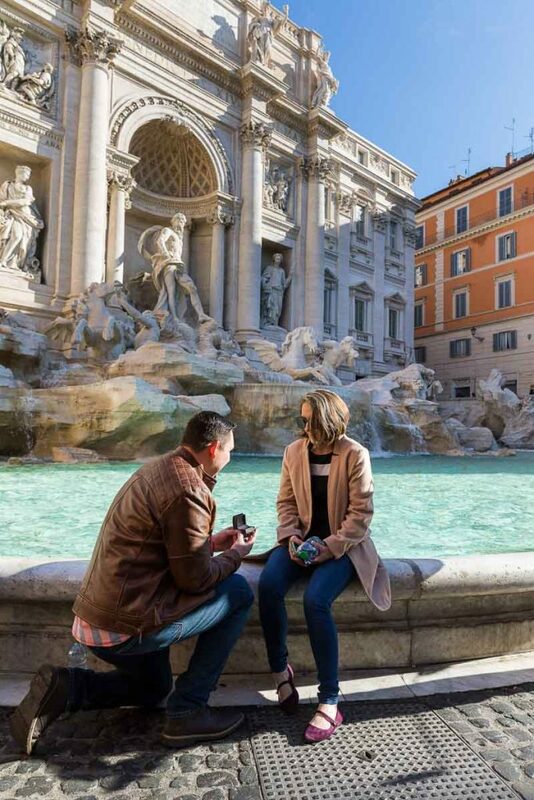 Which contain a beautiful circular fountain with statues in the background. Venturing on a beautiful walk across the park while taking some nice strolling pictures in the the greenery. Reaching the Pincio terrace overlook to complete our photo shoot. With some extraordinary views above the roman rooftops. 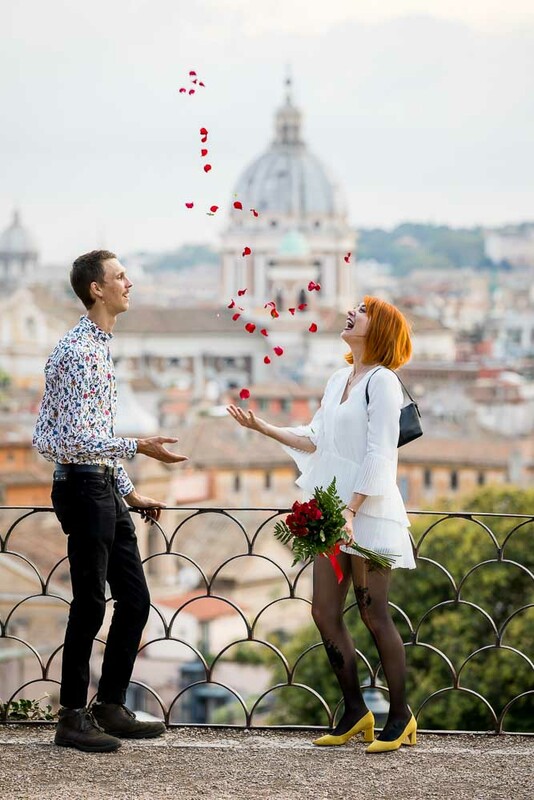 And using the red rose bouquet petals in the air! Start here to learn more about our photo sessions. Click here for prices and bookings.